Look what a beautiful thing we have found for you with free pattern. 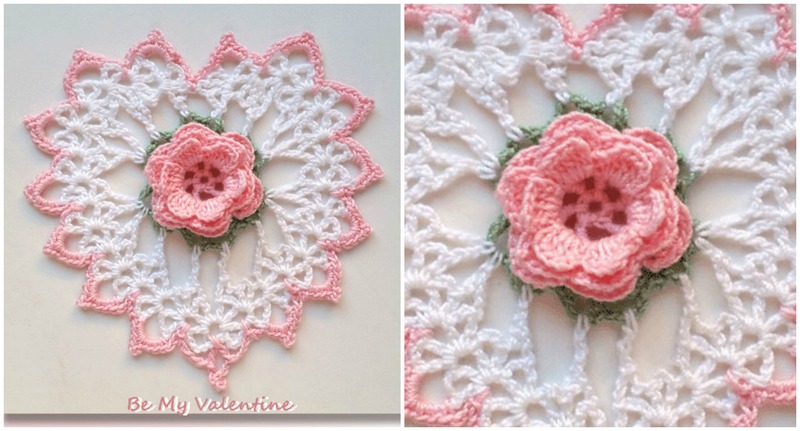 If you want to decorate you interior or clothing your can crochet this Rose in Heart. Choose any colors you want and start now if you have necessary supplies and free time. Author has made this beautiful creation for St. Valentines day we think. St. Valentines day is in the past, but as we have said you can crochet it for decoration. Thanks to author for pattern and awesome design which is sharing with us for free.